Monarch Air Group provides private air charter in Overland Park, KS. Our clients benefit from top-notch service, unrelenting dedication to safety, wide selection of aircraft, and years of experience in chartering private jets. To obtain a free quote, please use our online quoting tool provided below, or call toll free 1-877-281-3051. Monarch Air Group provides private jet charter flights in and out of Overland Park, Kansas, USA. Overland Park is a city in northeastern Kansas, southwest of Kansas City. With the population of about 173,372 people, it is the 2nd most populous city in Kansas. In 2010, Overland Park was rated by Money Magazine as the 7th best city to live in the United States. 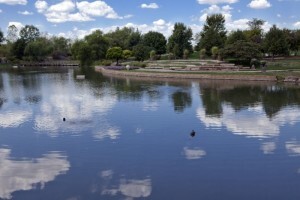 The most popular tourist attractions include Overland Park Arboretum and Botanical Gardens, Deanna Rose Children’s Farmstead, Indian Creek Greenway, Overland Park Farmers Market, Overland Park Convention Center, Glenwood Arts Theatre, and some others. The nearest airport is Kansas City International Airport (MCI / KMCI), which is located 28 miles from the center of Overland Park. 1. Holiday Inn Hotel & Suites, 8787 Reeder Street, Overland Park. 2. Extended Stay Deluxe Hotel Kansas City – Overland Park – Convention Center, 7201 West 106th Street, Overland Park. 3. Holiday Inn Hotel & Suites, 8787 Reeder Street, Overland Park. 4. Extended Stay Deluxe Hotel Kansas City – Overland Park – Convention Center, 7201 West 106th Street, Overland Park. 5. Holiday Inn Hotel & Suites, 8787 Reeder Street, Overland Park. 6. Extended Stay Deluxe Hotel Kansas City – Overland Park – Convention Center, 7201 West 106th Street, Overland Park.